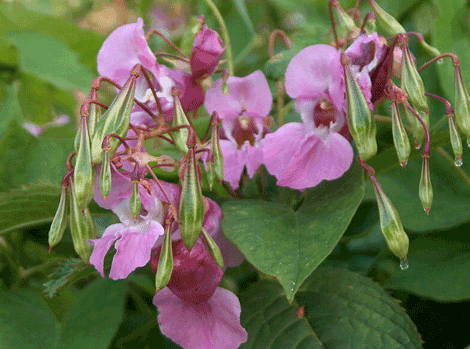 Himalayan Balsam, commonly known as Indian Balsam and Policemans Helmet, is an invasive non native annual plant which has quickly infested the banks of British waterways shading out the native British plants that stabilise river banks through our winter months. 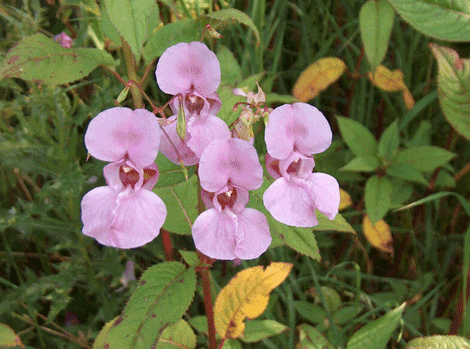 Himalayan Balsam is now a real concern due to erosion of waterways and the adverse impact it is having on our native flora and fauna. 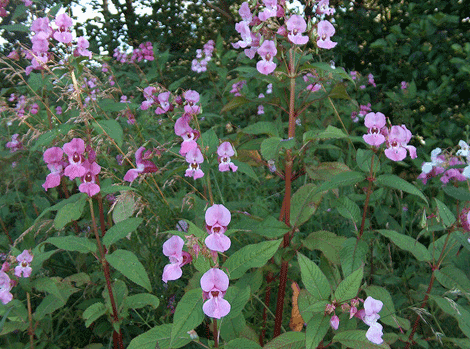 Schedule 9 of the Wildlife and Countryside Act (Scotland) 1981 (WCA 1981) controls the growth of Himalayan Balsam. Powers to issue control orders have been provided under the Wildlife and Natural Environment (Scotland) Act 2011 (asp 6). 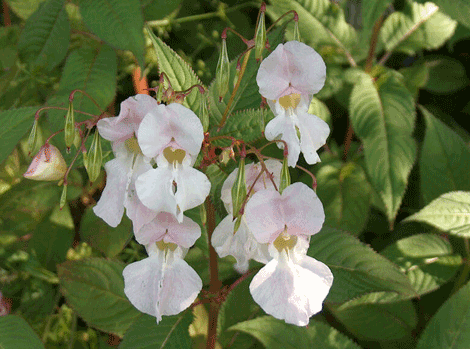 Soils containing Himalayan Balsam seeds are classified as controlled waste by Part II of the Environmental Protection Act 1990 (EPA 1990) and must be managed in compliance with the Waste Management Licensing Regulations 1994 or an offence will be committed. 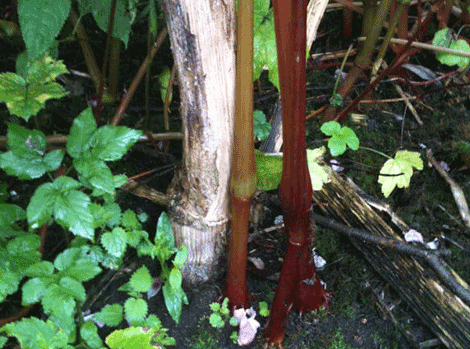 Himalayan Balsam grows between 1 and 2 metres in height with 2 or 3 serrated green leaves being arranged at node points along the green / red stems. About 3 months after germination the plant will flower, generally from June until autumn, producing most commonly dark pink or purple flowers although very pale pink almost white variations can also be found. Flowering is then followed by the production of segmental seeds pods, which, when disturbed ‘explode’ projecting seeds up to 5 metres from the plant. This method results in highly effective seed dispersal. The small black spherical seeds are buoyant and if they land in water they can be carried great distances downstream, seeds can germinate in the water. Each plant can produce several thousand seeds during the growing season and these can remain viable for 2 years. The plant dies during the first winter frosts and quickly decays making it difficult to identify during the winter months. Do not attempt these removals yourself. 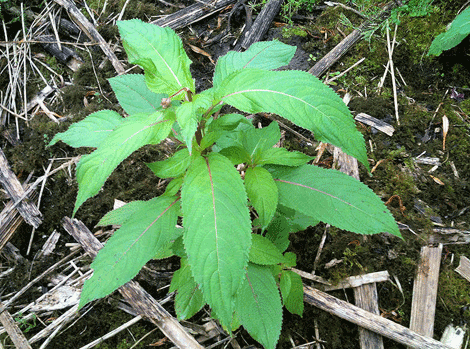 Himalayan Balsam is now controlled by legislation in the UK, making it a criminal offence to encourage or cause the growth of this plant – this can include moving soils that contain the seeds of this plant.